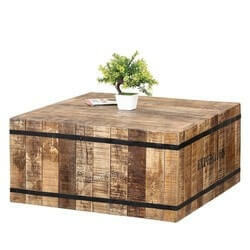 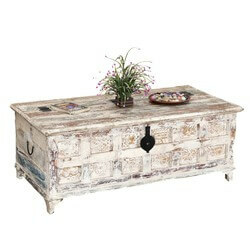 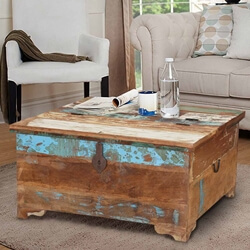 A coffee table is often called the anchor of the living room. 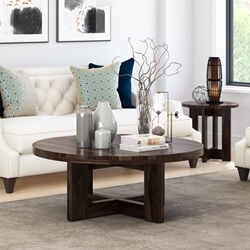 The classic low table can pull a space together and set the tone that incorporates all the other furniture elements. 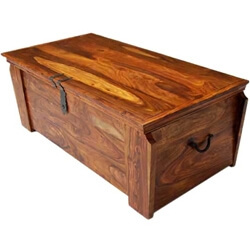 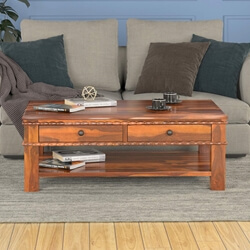 We are proud to offer over 340 unique living room accent tables; all handmade solid wood furniture with careful and considerate attention to details. 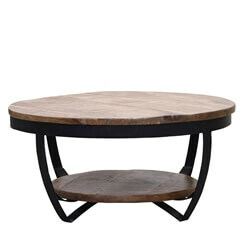 The living room table comes in many shapes and sizes including single table tops and two-tier cocktail tables. 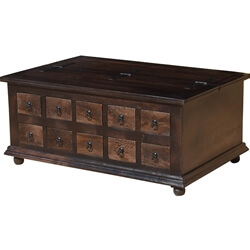 Expand your storage options with a coffee table trunk, a hidden drawer, or multi-drawer accent table. 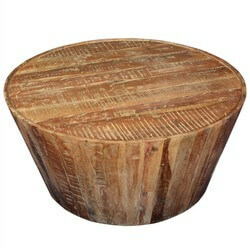 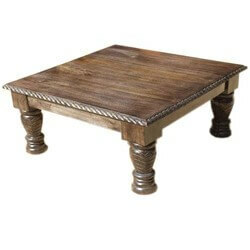 If you need more table space look at our nesting and stacked tables. 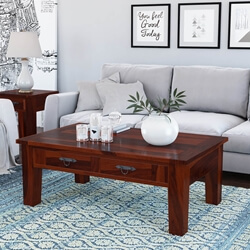 Choose a short table that sits directly on the floor, slightly off the floor, or completely off the floor for easy cleaning. 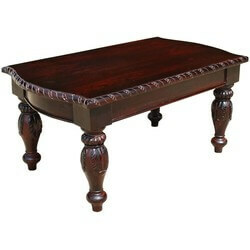 If you like to keep things moving, please check out our rolling tables. 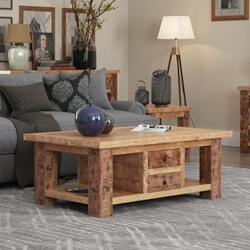 Natural and rustic styles add warmth and comfort to any room. 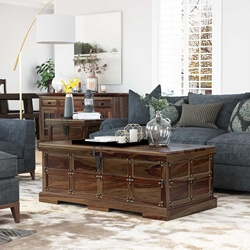 Search for Appalachian, Pioneer, Farmhouse, and Industrial collections for that easy, relaxed look. 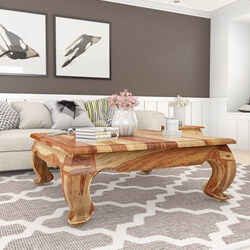 Our Natural Edge, Live Edge, Stump, and Log Cabin titles identify accent furniture showcasing natural wood elements. 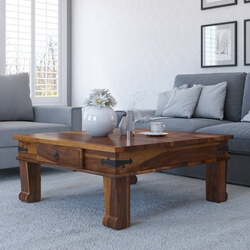 If you’re searching for traditional styles we’ve got Shaker, Gothic, Elizabethan, Empire, Mission, Palace Gates, Lincoln Study, and Asian Opium coffee tables. 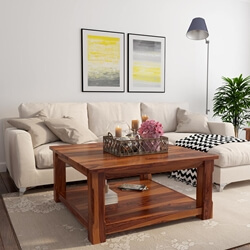 We also offer modern and contemporary designs. 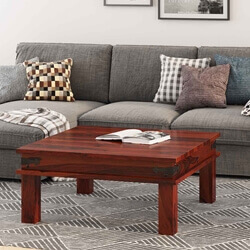 Our low tables are handcrafted using premium hardwoods including Indian Rosewood, Mango wood, Acacia, Teak, and Reclaimed wood. 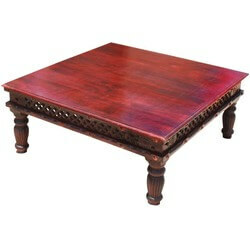 Many of our cocktail tables also include iron, brass, hand carved, and hand-painted elements. 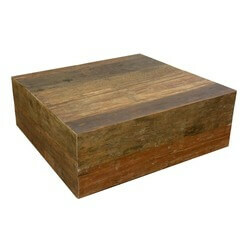 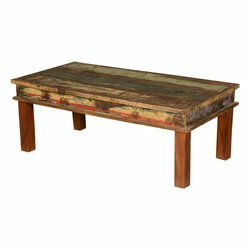 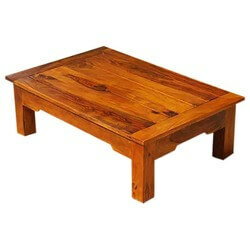 If you find the right coffee table that has a different size or color than what you need, please contact us. 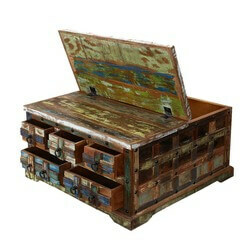 We offer custom service on most of our pieces. 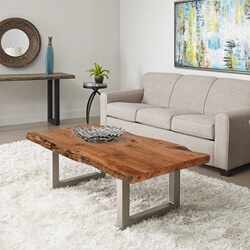 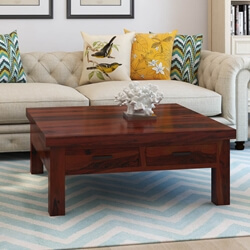 We make it easy to find the perfect coffee table. 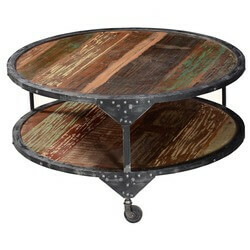 Now you just have to decide on caffeine, decaf, or tea.